The city of Coachella, located in the California desert’s eastern Coachella Valley, has a history as a rural agricultural economy. In recent years, with more rapid development and diversifying industry, the city sought to attract new business and a younger population. The goal, pure and simple, was to advance economic development. 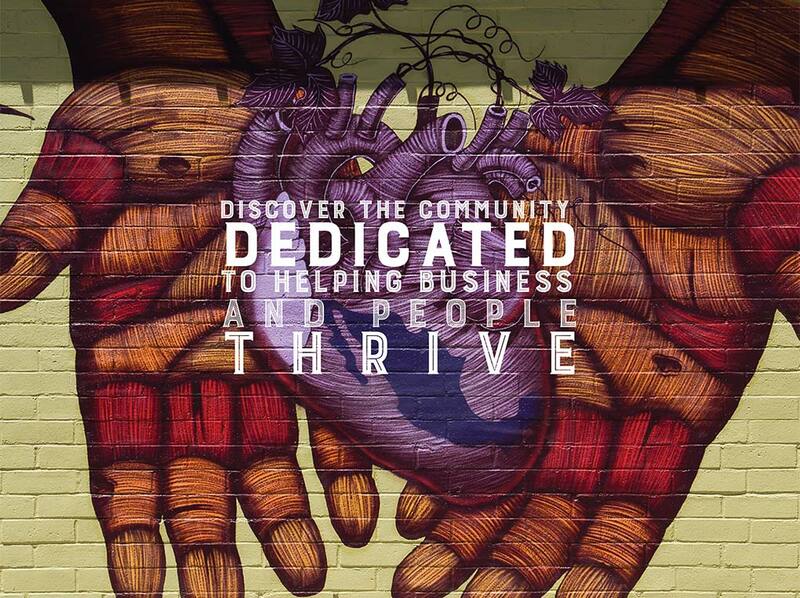 We communicated the community’s exceptional opportunities and quality of life to businesses and the family-centric demographic. Promoting affordable housing, a young median age, and access to higher education, we conveyed the messaging of job creation, workforce development, and economic expansion. 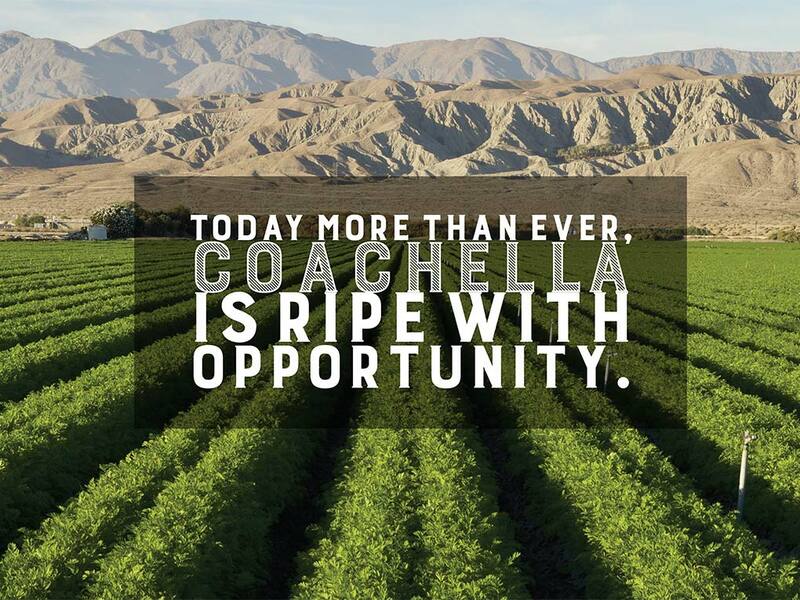 We built on the Hispanic heritage as well as Coachella’s business-friendly initiatives, diversified industry, community assets, art and culture, climate, and sustainability. 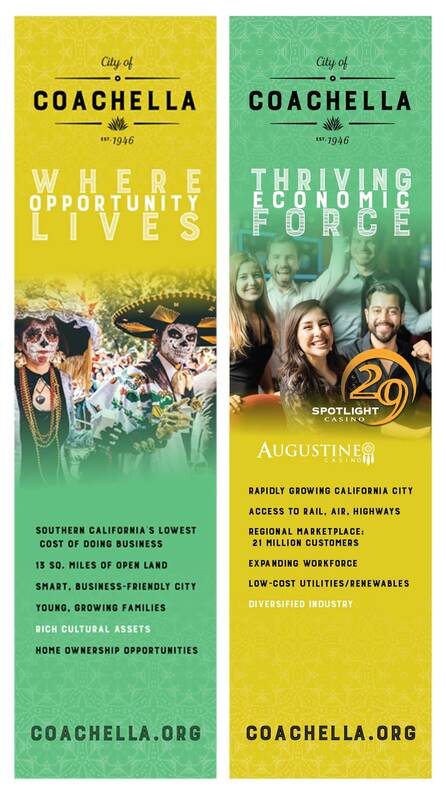 We created headlines such as Where opportunity lives, and A thriving California community comes of age. 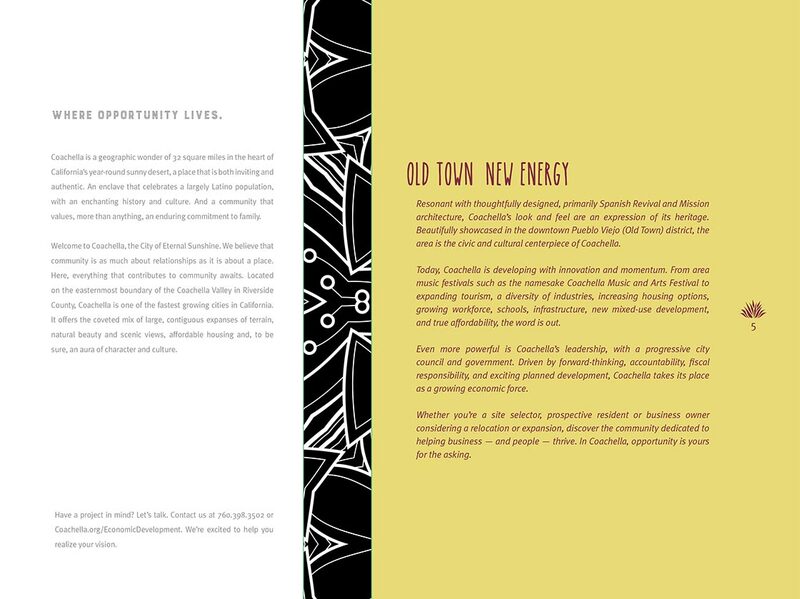 The team also leveraged the equity of the nearby namesake event, Coachella, the world’s largest music festival. Deliverables: a vibrant four-color marketing piece capturing the city’s new look and feel. Created for the International Council of Shopping Centers (ICSC) conferences in Las Vegas and Los Angeles, the piece targets out-of-market and national retailers, and is mailed or handed to other businesses considering a relocation. Portable trade show elements, capable of being set up in minutes, echo the dynamic new look. We also provided work to the city’s strategic alliances, notably the East Valley Coalition (EVC), a public-private partnership, and served on the entity’s marketing committee. Finally, we highlighted the city in an economic development video shown at the Coachella Valley Business Expo.